Wrapping up their third New York appearance in about a month, the trio showed no signs of boredom or repetition for their dynamite set on Friday night. Ripping through a ton of new material and a standard set of classics, this time around, the band really let J Mascis blaze through powerful solos that really took things to a jam-band level. Songs were hyper-extended as J blasted away with ultra solos that seemed to go on forever. Their took this opportunity to really exaggerate their psych-punk tendencies as Masics' guitar sound was cranked up to ungodly levels (especially considering the relatively small size of the space). No matter the occasion, the band operates like they need to reach their fans in the rafters of stadiums, rather that in the intimacy of a small club. This is not a band thing. Their stacks of amps behind them, J dazzled the crowd with the maneuvering of the his fingers that unleashed such a mesmerizing performance, all the while Lou Barlow and Murph hung to their side of the stage and kept the rhythm in check, not once slipping or showing signs of wear. 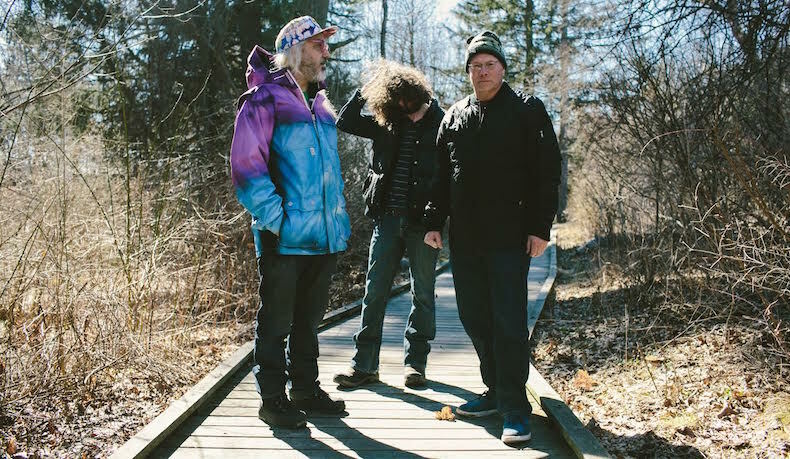 This current run of Dinosaur Jr has been rocking and rolling much longer than their original hey-day in the late 80s and early 90s and at this point it shows. The three members are so in tune with each other and they all really look like they actually enjoy playing all their songs. Of course, old highlights like "Freak Scene" and "In a Jar" drew high praise from the crowd, but new tracks "Goin Down" and "Tiny" sounded equally as raw and powerful as their predecessors. "New stuff sounds great!" people shouted and it really did seem to humble the band. Still, it's always tracks like "Feel the Pain" and "Start Choppin'" that get a ton of excitement despite each being primarily J Mascis solo tracks, but Lou and Murph would never give that impression. Murph is like a machine, each drum hit calculated and a while a stellar drum roll will find it's place every now and then, he really lets his other band members take care of any extra filler during a track. "What do you wanna hear? ", some of the very few, but important words spoken by J between songs, as he listened for requests. "The Wagon, huh?" asked Barlow as the band dipped into the rare treat. It was a great show full of the powerful sludge that the band has made their own for decades. These days, their heavy loaded songs may not have the same punk edge as the days of You're Living All Over Me, but the place they've settled on is every bit as dirty as you could hope. They've never taken the safe approach when it comes to making great music and now as they ease into their classic rock phase, they show no signs of making anything too classic, but will always rock as hard. 08 "I Walk for Miles"